In a large serving bowl, whisk together vinegar, lime juice, salt and pepper to taste. Slowly whisk in oil. 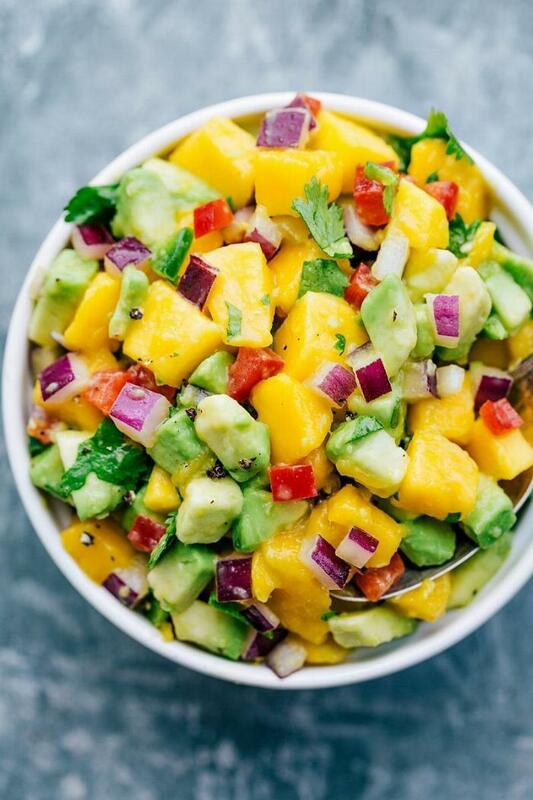 Toss in mangoes, avocado, red pepper, red onion and cilantro to coat. 1In a large serving bowl, whisk together vinegar, lime juice, salt and pepper to taste. Slowly whisk in oil. 2Toss in mangoes, avocado, red pepper, red onion and cilantro to coat.